If you are an aspiring front-end programmer and are ready to interview, this article is for you. This article is the perfect guide to what you need to learn and interview React. 1. The update is slow. 1. Updates are faster. 2. You can update the HTML directly. 2. It is not possible to update the HTML directly. 3. If the element is updated, create a new DOM. 3. Update the JSX if the element is updated. 4. DOM operations are costly. 4. DOM operations are very simple. 5. More memory is consumed. 5. Very little memory consumption. It follows a component-based approach that helps build reusable UI components. It is used to develop complex and interactive web and mobile UIs. Although it was only open source in 2015, there is a large support community. 3. What are the characteristics of React? It uses a virtual DOM instead of a real DOM. It can be rendered on the server side . It follows a one-way data flow or data binding. 4. List some of the key benefits of React. 5. What are the limitations of React? 7. Do you know Virtual DOM? Explain how it works. The Virtual DOM work process has three simple steps. 1. Whenever the underlying data changes, the entire UI will be re-rendered in the Virtual DOM description. 2. Then calculate the difference between the previous DOM representation and the new representation. 3. Once the calculation is complete, the real DOM will only be updated with the actual changes. 8. Why can’t the browser read JSX? 9. What is the difference in React’s ES6 syntax compared to ES5? 10. What is the difference between React and Angular? 11. How do you understand the phrase “everything is a component in React”. A component is a building block of the React application UI. These components divide the entire UI into small, independent and reusable parts. Each component is independent of each other and does not affect the rest of the UI. 12. How to explain the purpose of render() in React. Each React component is required to have a render() . It returns a React element that is a representation of the native DOM component. If you need to render multiple HTML elements, you must combine them in a closed tag, such as <form>, <group>, , <div>and so on. This function must be kept pure, that is, it must return the same result every time it is called. 13. How do you embed two or more components into one component? Props is short for attributes in React. They are read-only components and must be kept pure, ie immutable. They are always passed from the parent component to the child component throughout the application. Subcomponents can never send prop back to the parent component. This helps maintain one-way data streams and is typically used to render dynamically generated data. 15. What is the status in React? How is it used? The state is at the heart of the React component and is the source of the data and must be as simple as possible. Basically, a state is an object that determines the presentation and behavior of a component. Unlike props, they are mutable and create dynamic and interactive components. You can this.state()access them. 17. How do I update the status of a component? 18. What is the arrow function in React? how to use? The arrow function ( => ) is a short phrase used to write function expressions. These functions allow the context of the component to be properly bound, because automatic binding cannot be used by default in ES6. The arrow function is very useful when using higher order functions. 19. Distinguish between stateful and stateless components. 4. Accept notifications for stateless component state change requests and then send props to them. 4. Receive props from the stateful component and treat it as a callback function. 20. What is the stage of the React component life cycle? Initial rendering phase: This is the stage where the component is about to begin its life journey and enter the DOM. Update phase: Once a component is added to the DOM, it can only be updated and re-rendered when the prop or state changes. These only happen at this stage. Unload phase: This is the final phase of the component lifecycle, where components are destroyed and removed from the DOM. 21. Explain in detail the lifecycle approach to React components. componentWillMount () – Executes before rendering, both on the client and server side. componentDidMount () – executed on the client only after the first rendering. componentWillReceiveProps () – Called when props is received from the parent class and before another renderer is called. shouldComponentUpdate () – Returns true or false based on a specific condition. Returns true if you wish to update the componentor falseotherwise. By default it returns false. componentWillUpdate () – Called before rendering in the DOM. componentDidUpdate () – Called immediately after the rendering has taken place. componentWillUnmount () – Called after the component has been unloaded from the DOM. Used to clean up memory space. 22. What is the event in React? Name the event with hump nomenclature instead of just lowercase letters. Events are passed as functions instead of strings. The event parameter re-emphasizes a set of event-specific properties. Each event type contains its own properties and behaviors that can only be accessed through its event handler. 23. How do I create an event in React? 24. What is the synthetic event in React? A synthetic event is an object that acts as a cross-browser wrapper around a browser’s native event. They combine the behavior of different browsers into one API. This is done to ensure that events display consistent properties in different browsers. 25. What do you know about React’s refs? Refs is shorthand for references in React. It is a property that helps store references to specific React elements or components, and it will be returned by the component render configuration function. A reference to a specific element or component returned by render(). They come in handy when you need to make DOM measurements or add methods to your components. 26. List some cases where Refs should be used. 27. How to modularize the code in React? You can use the export and import attributes to modularize your code. They help to write components separately in different files. 29. How much do you know about controlled and uncontrolled components? 30. What is a high-level component (HOC)? High-level components are an advanced method of reusing component logic and are a component pattern derived from React. A HOC is a custom component that contains another component within it. They can accept any dynamics provided by subcomponents, but will not modify or copy any of the behaviors in their input components. You can think of HOC as a “Pure” component. 31. What can you do with HOC? 32. What is a pure component? The Pure component is the simplest and fastest component that can be written. They can replace any component that only has render() . These components enhance the simplicity of the code and the performance of the application. 33. What is the importance of the key in React? Key is used to identify the unique Virtual DOM element and its corresponding data for the driver UI. They help React optimize rendering by reclaiming all of the current elements in the DOM. These keys must be unique numbers or strings, and React simply reorders the elements instead of re-rendering them. This can improve the performance of your application. 34. What are the main issues of the MVC framework? Flux is an architectural pattern that enforces one-way data flow. It controls derived data and uses a central store with all data permissions to communicate between multiple components. Data updates throughout the app must only be made here. Flux provides stability for applications and reduces runtime errors. 37. What are the three principles that Redux follows? Single fact source: The state of the entire application is stored in the object/status tree in a single store. A single state tree makes it easier to track changes over time and debug or inspect applications. The state is read-only: the only way to change the state is to trigger an action. Actions are ordinary JS objects that describe changes. Just as state is the smallest representation of data, this operation is the smallest representation of data changes. 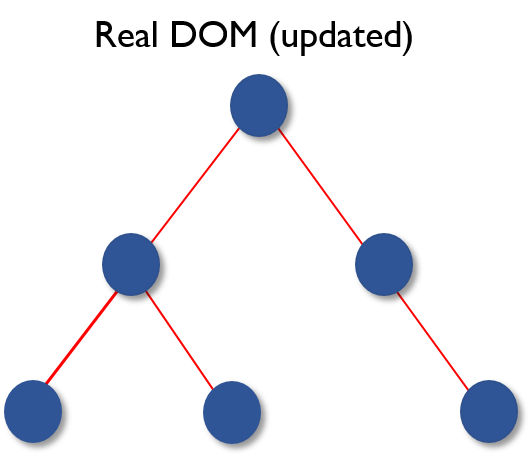 Change with a pure function: In order to specify how the state tree is transformed by operation, you need a pure function. Pure functions are functions whose return values ​​depend only on their parameter values. 38. What is your understanding of the “single source of truth”? Redux uses “Store” to store the entire state of the program in the same place. So the state of all components is stored in the Store and they receive updates from the Store itself. A single state tree makes it easier to track changes over time and debug or check the program. 39. List the components of Redux. Action – This is an object that describes what happened. Reducer – This is a place to determine how the state will change. Store – The state/object tree of the entire program is saved in the Store. View – displays only the data provided by the Store. 40. How does the data flow through Redux? 41. How do I define an Action in Redux? 42. Explain the role of the Reducer. Reducers are pure functions that specify how the state of an application changes in response to an ACTION. The Reducers work by accepting the previous state and action, and then it returns a new state. It determines which update needs to be performed based on the type of operation and then returns the new value. If you do not need to complete the task, it will return to its original state. 43. What is the meaning of Store in Redux? 44. What is the difference between Redux and Flux? 45. What are the advantages of Redux? Predictability of results – Since there is always a real source, store, there is no question of how to synchronize the current state with the rest of the action and application. Maintainability – Code becomes easier to maintain, with predictable results and a strict structure. Server-side rendering – you just need to pass the store created on the server to the client. This is very useful for initial rendering and can optimize application performance to provide a better user experience. Developer Tools – From operations to state changes, developers can track everything that happens in the app in real time. Community and Ecosystem – There is a huge community behind Redux that makes it even more fascinating. A large community of talented people contributed to the improvement of the library and developed various applications. Easy to test – Redux’s code is primarily small, pure and independent. This makes the code testable and independent. Organization – Redux accurately illustrates how the code is organized, which makes the code more consistent and simple when used by the team. 46. ​​What is React routing? React routing is a powerful routing library built on top of React that helps add new screens and streams to your application. This keeps the URL in sync with the data displayed on the web page. It is responsible for maintaining standardized structures and behaviors and for developing single-page web applications. React routing has a simple API. 47. Why is the switch keyword used in React Router v4? Although <div> a plurality of Routing Encapsulation Router, when you want to display only a single route to be rendered more defined route, you can use the “switch” keyword. When used, the <switch> tag matches the defined URL to the defined route in order. When the first match is found, it renders the specified path. Thereby bypassing other routes. 48. Why do I need a route in React? 49. List the advantages of the React Router. Just like React is based on components, in React Router v4, the API is ‘All About Components’ . You can visualize the Router as a single root component ( <BrowserRouter>) where we will be specific to the child route (<route> wrap ). There is no need to manually set historical values: in React Router v4, all we have to do is wrap the route in <BrowserRouter> assembly. The packages are separate: there are three packages for the Web, Native, and Core. This makes our application more compact. It is easy to switch based on a similar coding style. 50. What is the difference between React Router and regular routing? I hope this React interview question and answer will help you prepare for the interview. wish all the best! Next articleHow is an App born from idea to practice?